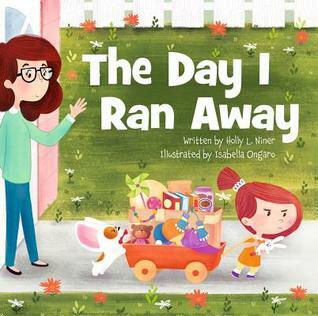 Sweet joy, warm fuzzies and happy thoughts abound in this fanciful book about a day in the life of a little girl who has experienced an abundance of frustrations one after the other. At bed-time the child shares with her father the unvarnished details of her day. As she prattles along he offers a sympathetic ear while she recounts the traumatic events leading to her impending departure. From her beloved shirt being in the laundry, to learning the cupboards were devoid of her favorite cereal, she holds nothing back as she explains why she felt the need to take leave of her home on that very disheartening day. Author Holly L. Niner's endearing depiction of a precocious young girl, and her father who shows perfect love and compassion, is one that is sure to warm the heart of readers young and old. Whimsical illustrations by Isabella Ongaro are perfectly paired with this delightful book which earns our recommendation for home and school libraries everywhere. Look out Alexander and the Terrible Horrible, No Good, Very Bad Day, there's a new book in town and it's earned a very special place in our hearts and on our book shelf.